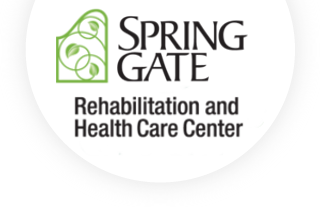 Because of Spring Gate Rehabilitation and Healthcare Center's whole wellness mantra, our short- or long-term residents receive better options than they would be able to access at home. That's because our patients get customized, top-rated medical care alongside home-like comforts. Our expert medical team also creates personal care plans that help each patient continue to enjoy time with family and friends and engage in favorite activities. Spring Gate Rehabilitation and Healthcare Center's devoted nursing team provides the highest quality medical attention under the expert guidance of our medical director. Our nursing team assesses the needs of every resident and carefully develops a custom care plan for each one. Of course, the dedicated nurses and therapists take their jobs here at Spring Gate Rehabilitation and Healthcare Center very seriously. As a result, our nursing staff offers care with warmth, dignity, and respect. Our top priority is to make sure you and your loved one always feel cared for, right from your very first "hello."